In 2017, we witnessed a significant transformation in mobile technology. Not only technology took a giant leap in terms of customer experience but also introduced revolutionary concepts, taking mobile technology to new heights. Apple introduced ‘iPhone X’ to claim even a bigger market share and Android introduced ‘Oreo’ an updated Operating System with enhanced utility scope. 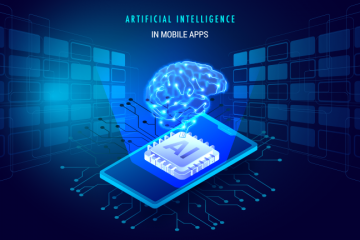 Furthermore, the phenomenal changes in the AI, AR, and VR technology along with some innovative ways of integrating them into real-life mobile solutions are changing the game for mobile, app development companies in 2018. With the arrival of a new year, it becomes necessary for us to look back and analyze. It is but obvious that various technological changes are going to influence the way mobile technology will evolve in 2018. Nonetheless, we are already witnessing some prominent trends in mobile app development technologies that need further exploration and innovation for enhanced offerings and better experience giving businesses new beneficial opportunities. In this blog, we will cover few trends that will supposedly rule the 2018 and will discuss how it is important for every mobile app development company to follow these trends if they intend to beat the competition. Businesses dependent on mobile apps will convert their focus towards the development of web presence – it will be the first major mobile app development trend in 2018. Look at the mobile app space and you will understand the increasing congestion. Many businesses want to reinforce and innovate their efforts in reaching customers, for doing so, concentrating on web apps is definitely a good start. 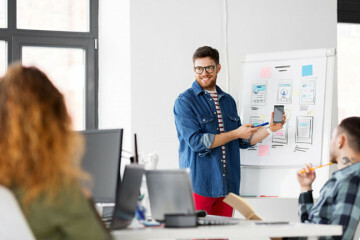 Enterprises that adopted mobile-first or mobile-only approach have realized the precedence of adopting a ‘mobile’ plus ‘web apps’ approach, which is more penetrating and effective. The prime reason behind businesses shifting towards web app is due to slumping search engine authority for businesses moving around with mobile-only approach. Let us see what will be the focus of enterprises adopting web apps. “Most of the enterprises will settle for Progressive Web Apps (PWA) – the lighter versions of native mobile apps, or in simple words – Android Instant Apps facilitating easy user access in a browser without the need to download the app”. In 2016, we went gaga after Pokémon Go. With this game, mobile users for the first time came directly in contact with the Augmented Reality technology. The experience was definitely enticing and users started expecting more. In 2017, AR and VR made it to the mobile app platform to reach beyond engagement and promotion purposes. Google Cardboard introduced in 2014 was the pioneering VR technology, which now has evolved as a result of productive contributions from some of the bigger brands and innovative solutions. Now, few products like Oculus owned by Facebook, Vive owned by HTC and Daydream owned by Google, exhibit a commitment to help the growth of AR and VR technology to new leaps and bounds. Surveys and market analysis reports predict that the market for VR products will reach $30 billion by the end of 2020. The AR and VR technology is growing every day offering advanced resources and facilities. In addition to that, “businesses are showing acclivitous interest and inclination to integrate AR and VR features in their new or existing mobile apps”. This definitely will pull around a happening mobile app development trend in 2018. Already IoT is much in existence and we are using it in different forms and elements. The astonishing fact – more than 60k people hit search engines with the term ‘Smart Home’ every month. In addition to that, IoT is successful in effectively penetrating the home automation sector. Thus, the increasing popularity of IoT has brought good days to automation systems like Amazon Echo and Google Home. Speaking of Wearables, there is no need for proofs to understand the momentum with which the wearable market is growing. The interesting issue – the wearable market is not just growing in one particular segment; in fact, there are different forms, like smartwatches, fitness bands, smart glasses, and Bluetooth earplugs. There happens to be an increasing demand and innovation in wearable products and technology. This for sure is one of the many reasons businesses and app makers are considering wearable technology as their next frontier of exploration and innovation. No wonder, IoT, and wearable technology are set to rise as the next profitable commodity after smartphones. As of now, we have more than 25000 apps under the fitness and wellness category, assumed to evolve in 2018 setting a new app development trend. Although Artificial Intelligence is a newly introduced technology in the digital environment, it is growing considerably well, and businesses tend to adopt it at a blazing rate. Each new integration and evolution in the AI domain is boosting the technology to reach newer heights. ‘Siri’ a built-in intelligent assistant in iPhone, answers your questions or orders food for you is a typical example of well-developed AI. Now, driverless cars will drive you to places without wanting you to touch the steering is an advanced integration of AI technology. You can be sure that by the end of 2018 AI will grow, evolve and will be ready for further innovation. The superb capability to auto-adapt will help AI in advancing by absorbing and deep learning (artificial neural networks) from surrounding environments and feeds. In 2017, we succeeded in programming Artificial Intelligence to furnish certain tasks using perception, reasoning, and experience. Most of the mobile app owners will want to update their apps in 2018 to include consumer digital assistant for face recognition, voice recognition and for responding to the specific user needs after communicating individually with them. AI technologies that will gain prominence in 2018 are Speech recognition, Face recognition, Decision management, Deep learning platforms, Natural language generation, and processing as well as the Robotic process automation. Hewlett Packard conducted a research study in 2016 focusing on Enterprise Mobile Application Security. The study examined about 36000 apps out of which about 95.62% could not pass the set privacy and security test. This study came as a heavy blow to many enterprises, app makers and even app developers questioning how to increase mobile app security. The volatile nature of the online databases and the vulnerability of integrated environments wherein the apps reside and operate ask for a more secure and protective layer of security that will safeguard user interest. This has motivated every entity related to mobile app development to explore different options that would protect and secure apps from all kind of threats and risks. 2018 will come with a new mobile app development trend emphasizing great improvements in password locks, encrypted storage, multi-layered validation access, remote wipe setups and a higher level of monitoring and authorizing processes. High-end technology, additional safety layer, and increased user interest to shop online have resulted in surging the demand to integrate digital payment services in mobile apps. The inventive offerings, compelling possibilities, and resources interrupting the virtual money space offer loads of opportunities to innovate digital wallets and pave a way for their growth. If we look at the market you will understand that the urban population that was actually reluctant to shop online has accepted online shopping as an affordable option and is not hesitant to pay using digital mode of transaction. Mobile app users for sure have an inclination towards online payment and have accepted the fact that virtual payment and digital wallets are going to become a way of life in near future. 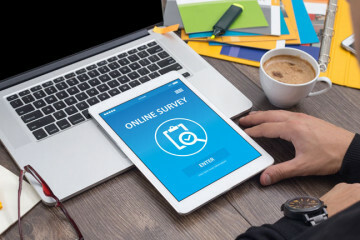 This user tendency has forced many marketers, mobile app businesses, and enterprises to shift their focus towards the development and integration of mobile wallets in their mobile apps. No surprises in the kitty, you ought to see more of this technology growth in 2018. Undeniably, the growth happened in the mobile app development domain is phenomenal. Easy access to the latest mobile technology, user demand and changing priorities from traditional to digital services triggered evolution and innovation in mobile technology. In today’s world, things are moving fast to cope up with the technology evolution. The core of mobility has shifted from accessibility to providing effective and user-driven digital services packed in a mobile app. Therefore, we need a laudable commitment from the mobile app development company to provide benefiting and sophisticated mobile solutions to users as well as to the clients. 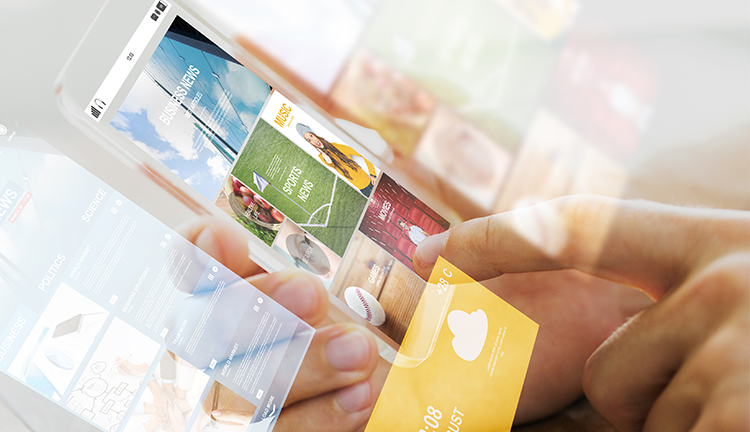 The mobile app development trends in 2018 represent a fabric we are assisting to complete by offering advanced digital experiences. Sphinx Solutions is a leading mobile app development company in Pune touting know-how experience and skills to modernize, build and design web and mobile solutions that are fully capable of processing, storing, managing and protecting data online or offline. Our exceptional expertise to develop fully interoperable, scalable, convenient, and highly secure software and mobile solutions make us stand out in the competition.